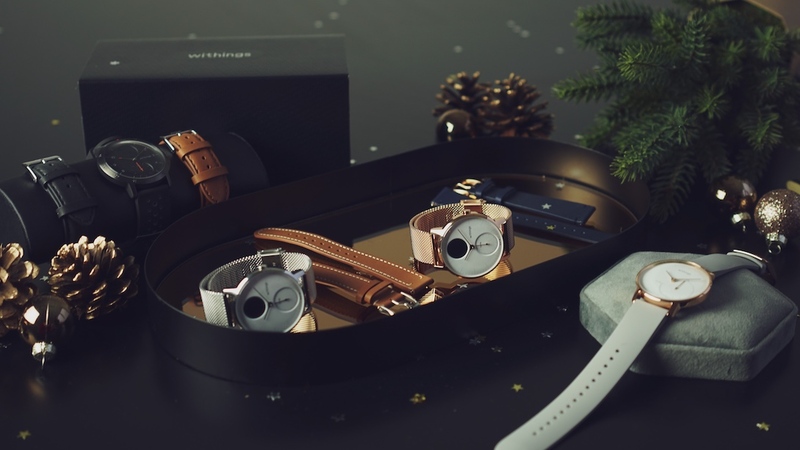 Looking to give (or get) a stylish smartwatch this Christmas? Then Withings may just have the answer with its limited edition Collector Watchbox sets, which pack in a hybrid smartwatch from its range plus two additional premium wristbands - a deal that saves you $30 compared to buying the wristbands separately. All of the top Withings devices are on offer in the Collector Watchbox sets, from the Steel right up to the Steel HR Sport. You can grab one of the stylish sets now, direct from Withings; read on for the lowdown of what to expect in the box. The Steel HR Sport is a fitness-focused hybrid designed with workouts in mind, with connected GPS, heart rate monitoring and VO2 Max tracking all built in - making it a superb running companion, complete with a fitness level assessment and tracking for more than 30 different sports. Crafted in the tradition of great watchmaking, the Steel HR Rose Gold is a water-resistant smartwatch that offers HR monitoring, activity / sleep tracking, connected GPS and smartphone notifications. The battery life is also great with more than 25 days of life between charges. The Steel HR also boasts smart notification support, so you can receive notifications from third-party apps on top of call, text, email and event notifications, and the new Sleep Score feature assesses duration, depth, regularity and interruptions when you're catching your Zzzs. It looks super slick in silver. Like the look of the Rose Gold HR but don't need all the sporty bells and whistles? That's not to say the regular Steel isn't capable of keeping up with you keeping fit - this beautiful watch measures steps, running, swimming and sleep and, like all Withings hybrids, seamlessly syncs with the Health Mate app via Bluetooth. The Steel is a great assistant for actually keeping those New Year’s resolutions. This time, you mean it, right? You're going to walk instead of taking the bus; you're going to sleep 8-hours a night and you're going to go to the gym more. The Steel has you covered until August, at least, with its 8-month battery life.